A fresh, meticulous, and entertaining account of Henry Ford, the Model-T, and the invention of the American car industry in the early twentieth century that “will make you rethink the man whose legacy sits in your garage” (Parade). From the acclaimed popular historian Richard Snow, who “writes with verve and a keen eye” (The New York Times Book Review), comes a fresh and entertaining account of Henry Ford and his invention of the Model T—the ugly, cranky, invincible machine that defined twentieth-century America. Every century or so, our republic has been remade by a new technology: 170 years ago the railroad changed Americans’ conception of space and time; in our era, the microprocessor revolutionized how humans communicate. But in the early twentieth century the agent of creative destruction was the gasoline engine, as put to work by an unknown and relentlessly industrious young man named Henry Ford. Born the same year as the battle of Gettysburg, Ford died two years after the atomic bombs fell, and his life personified the tremendous technological changes achieved in that span. Growing up as a Michigan farm boy with a bone-deep loathing of farming, Ford intuitively saw the advantages of internal combustion. Resourceful and fearless, he built his first gasoline engine out of scavenged industrial scraps. It was the size of a sewing machine. From there, scene by scene, Richard Snow vividly shows Ford using his innate mechanical abilities, hard work, and radical imagination as he transformed American industry. In many ways, of course, Ford’s story is well known; in many more ways, it is not. Richard Snow masterfully weaves together a fascinating narrative of Ford’s rise to fame through his greatest invention, the Model T. When Ford first unveiled this car, it took twelve and a half hours to build one. A little more than a decade later, it took exactly one minute. In making his car so quickly and so cheaply that his own workers could easily afford it, Ford created the cycle of consumerism that we still inhabit. Our country changed in a mere decade, and Ford became a national hero. But then he soured, and the benevolent side of his character went into an ever-deepening eclipse, even as the America he had remade evolved beyond all imagining into a global power capable of producing on a vast scale not only cars, but airplanes, ships, machinery, and an infinity of household devices. 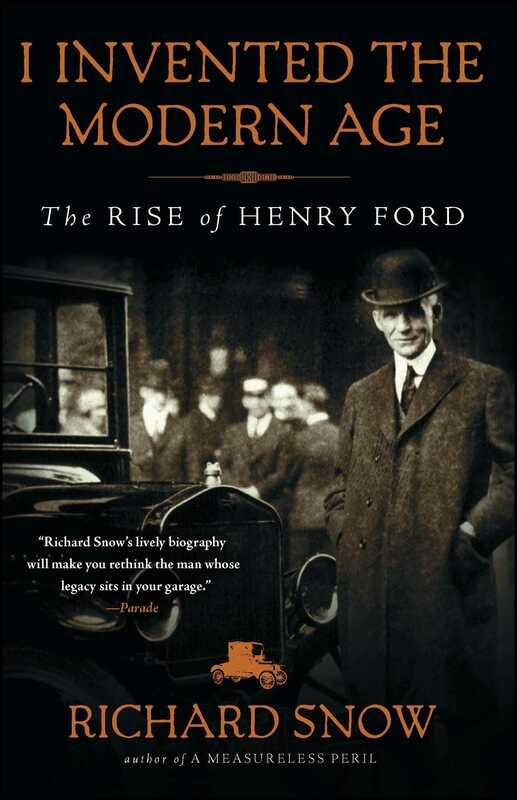 A highly pleasurable read, filled with scenes and incidents from Ford’s life, particularly during the intense phase of his secretive competition with other early car manufacturers, I Invented the Modern Age shows Richard Snow at the height of his powers as a popular historian and reclaims from history Henry Ford, the remarkable man who, indeed, invented the modern world as we know it. character develops through anecdotes and events in a lively narrative sequence that will engross readers." "The 'T' itself is a protagonist in Mr. Snow's often lyrical book." "Richard Snow skilfully evokes everything from patenting battles to internal-combustion dramas — and his bullheaded subject, who set out to remake America, and succeeded." 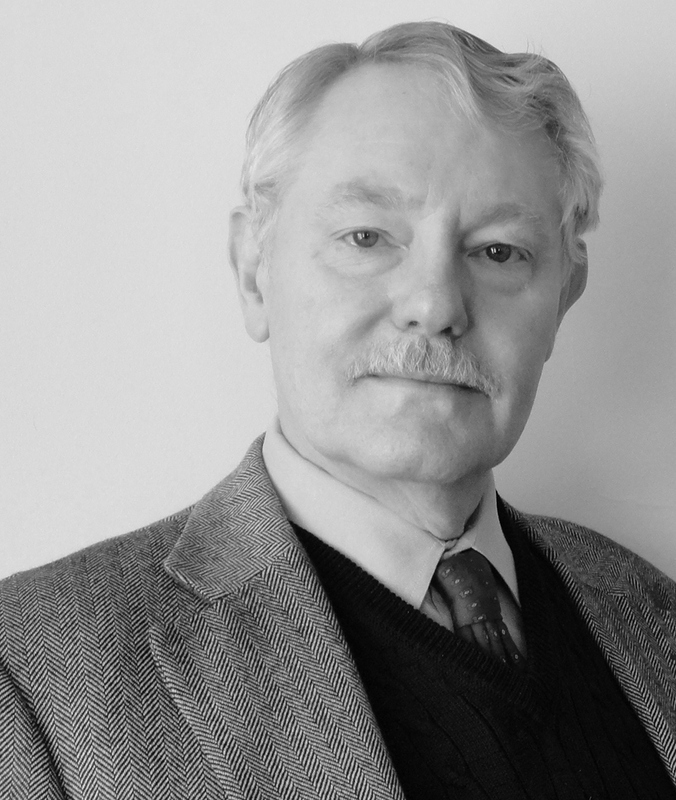 "Richard Snow presents a biography of a brilliant, difficult and strange man, a technological thriller about the most important machine he made, and a social history of the country it transformed. You live in the world Henry Ford made; here is how it happened. I Invented the Modern Age is clear, amusing, stern and poignant." "No one has told the story of Henry Ford’s incredible rise and achievements better than Richard Snow in this book."